Shopping can be confusing at the best of times, and trying to find environmentally friendly options makes it even more difficult. Welcome to the first instalment of our Sustainable Shopping series, in which we ask experts to provide easy, eco-friendly guides to purchases big and small. 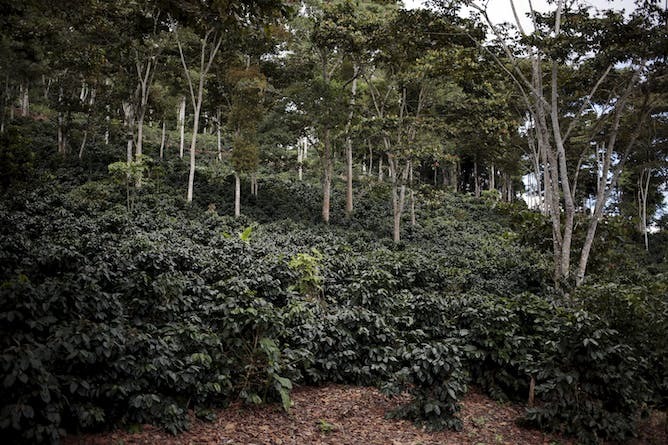 Coffee grows in the shade on a farm in Jinotega, Nicaragua. 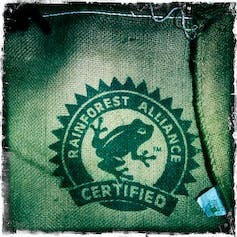 Coffee bean bag with Rainforest Alliance logo. The Rainforest Alliance requires a level of native vegetation to be maintained within each coffee farm. There is some criticism that the alliance has watered down its criteria in recent years, at least in terms of maintaining diverse shading vegetation. However, their certification leads to positive outcomes such as protection of waterways and native vegetation. Australian Certified Organic certifies coffee roasters such as Coffex, Coffico and Rio Coffee. While certification programs are not perfect, logos can certainly act as a guide to sustainable products. That said, products without logos aren’t necessarily unsustainable. Some small landholders with highly sustainable, shade-grown coffee can’t afford the expense of certification.